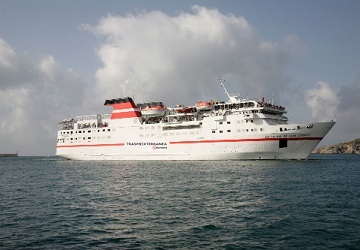 The Tangier Med Algeciras ferry route connects Morocco with Spain and is currently operated by 5 ferry companies. 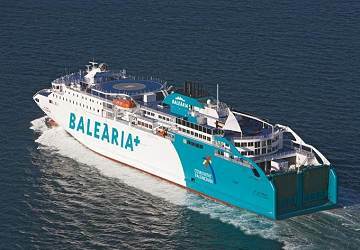 Balearia operate their crossing up to 5 times per day, Trasmediterranea 6 times per day, FRS 8 times per day, Inter Shipping 10 times per day & the AML service is available up to 4 times per day. 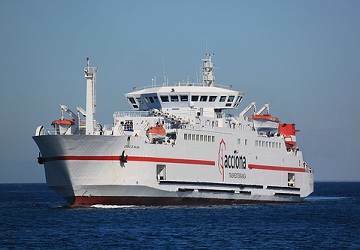 There are a combined 33 sailings available per day on the Tangier Med Algeciras crossing between Morocco and Spain and with 5 ferry companies on offer it is advisable to compare all to make sure you get the best fare at the time that you want to travel. Prices shown represent the average one way price paid by our customers. 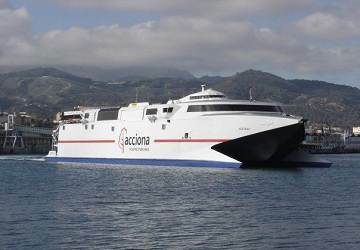 The most common booking on the Tangier Med Algeciras route is a car and 2 passengers. Fast, efficient and very comfortable. 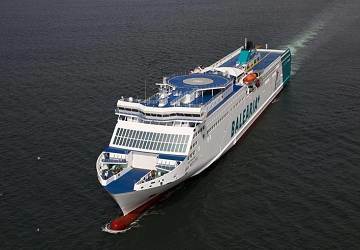 "I liked trip with Balearia"
Very fast and very comfortable ship "Balearia"
Customs and boarding process was very slow, there was a delay of 1.5 hours which made it very frustrating, especially as this boat was very big and had lots of trucks being loaded. The return though was much better as it was a smaller ship. "Hopelessly late departure of Barearia "
Our ship is without comment from anyone what's going on expired more than 1 hour late! Delay can occur even once, but more than 1 hour! and no information why neither before nor during boarding is really not okay. Really can not be recommended. we will avoid the Balearia for next time. An impeccable trip with great views. Also very punctual. Congratulations on the new and well-kept boats. Since Morocco have rebuilt their ferry terminal i must say that travel between the two ports is relatively easy, having used the old and new ports things have improved many fold. 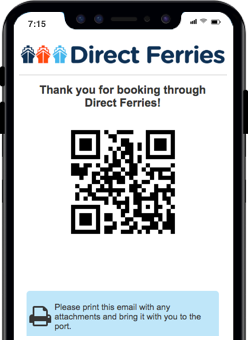 Direct ferries booking was easy, no problems with ticket application and reception. If travelling from Tangiers, get there early and locate the relevant ticket office, many thanks, fairly easy journey.